From Alaskan expeditions to alpine missions in the Cascades and stints on the Appalachian Trail, Mountain Hardwear's Lamina™ sets the bar for synthetic bags. Lightweight Thermal.Q™ insulation was made for nights out in damp climates or wet conditions. From Alaskan expeditions to alpine missions in the Cascades and stints on the Appalachian Trail, Mountain Hardwear &apos;s Lamina™ sets the bar for synthetic bags. Lightweight Thermal.Q™ insulation was made for nights out in damp climates or wet conditions. 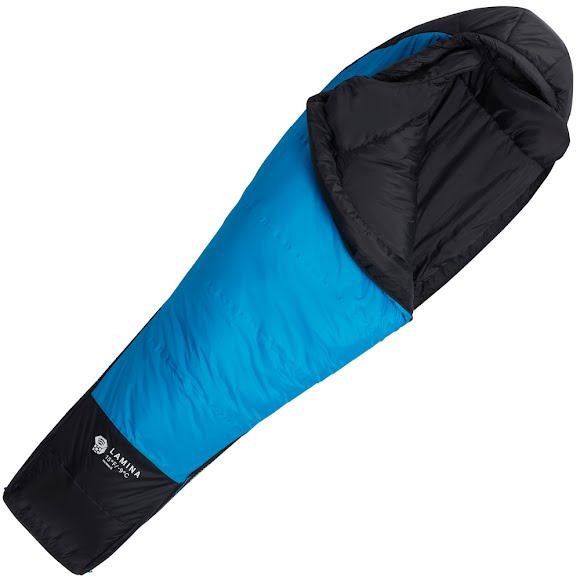 And paired with Mountain Hardwear &apos;s innovative offset welded construction, it&apos;s a game-changer in eliminating those cold spots your old sleeping bag always had. Thermal.Q is designed to mimic the structure of goose down: rigid stems that form a matrix of gaps and softer fibers to fill those gaps. The result is a warmer synthetic whose structure gives it better compression rebound. Durable Water Resistant finishes are applied to the outer surface of garments to increase their resistance to water.